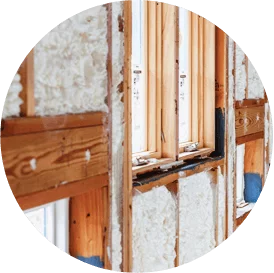 Why choose Accurate Insulation LLC? Integrity, knowledge and excellent service – these aren’t just words, they represent how Accurate Insulation does business. Whatever your needs, you can trust us to offer high quality products and service. A variety of services – from insulation to garage doors, Accurate Insulation can help you improve your home’s energy efficiency and aesthetic. We install insulation, garage doors and gutters. We currently have locations in Upper Marlboro and Hagerstown, MD, but our experienced crews are local to you! We have the entire DC area covered, from Rockville, Bethesda and surrounding Montgomery County all the way to the Baltimore and Annapolis areas. Whatever your needs, our team can meet them. Accurate Insulation specializes in the installation of insulation and garage doors, but we offer a variety of services. 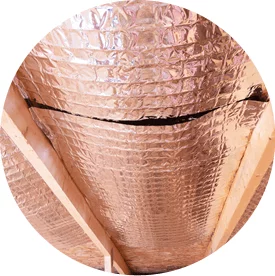 In addition to our insulation installation services, we also offer whole-house sealing. Do you need a new garage door for your home? Accurate Insulation is proud to be a Master Authorized Dealer of Clopay garage doors! Whatever your needs, look no further! We offer top-notch repair and replacement services. An important part of your roofing, gutters help protect your home against water damage. 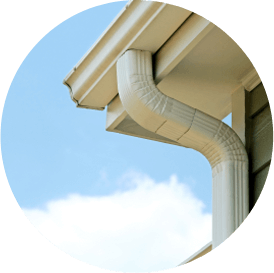 Do you need a new gutter system for your home? We install seamless aluminum gutters in a variety of sizes and colors—and we also offer gutter guards, including the popular Alcoa Leaf Relief. Why Choose Accurate Insulation for Garage Door & Insulation Services in the DC Area? There are many insulation and garage door companies in Maryland. Why choose Accurate Insulation? Next-day service is our promise for most jobs, and all our vehicles have GPS systems installed so we can give our customers more accurate arrival times. We are licensed and insured in Maryland, Delaware, Virginia, Pennsylvania, and West Virginia. Our expertise and administrative staff have years of experience to help ensure that there are not any problem that we cannot solve or tasks that we cannot handle. Our installers are trained to provide quality professional installations. Customer satisfaction is the key to our success. We are committed to giving our customers an excellent job at a competitive price. Please contact us online or call us at 301-358-6411 for a free estimate on any of the products we offer! Welcome to Accurate Insulation, your source for professional insulation and other products for the home. Builders, contractors and homeowners throughout the Washington, DC metropolitan area depend on us for a variety of products and we are proud to serve them.